Buy locally-raised meats and locally-grown produce: Try your best to buy your food from local sources. This not only supports your neighborhood, but it also reduces your impact on the environment drastically compared to buying from manufacturers. Factory farms create unnecessary waste and excrete hazardous greenhouse gases into the air. However, local farms find uses for most waste instead of letting it collect and disposing it. Buying locally also cuts unnecessary transportation pollutants. Since the meats will be traveling shorter distances, the atmosphere won’t suffer as much. Local butchers can also offer more options for meat, while also giving you a decent price. Limit waste from your kitchen and your customers: Waste is a monumental problem for our environment, and there’s no doubt that a catered event can produce a lot of waste, including food and plastic items. Food waste goes directly from your venue to the landfill, and rots there releasing unhealthy amounts of methane gas into the atmosphere. To solve this issue, try donating excess food that is still consumable. If the food cannot be donated, then compost it instead of throwing it out. This turns food waste into resources that can be used in many different areas. Also, pay attention to the garbage that conglomerates from your kitchen — try reducing this as well. 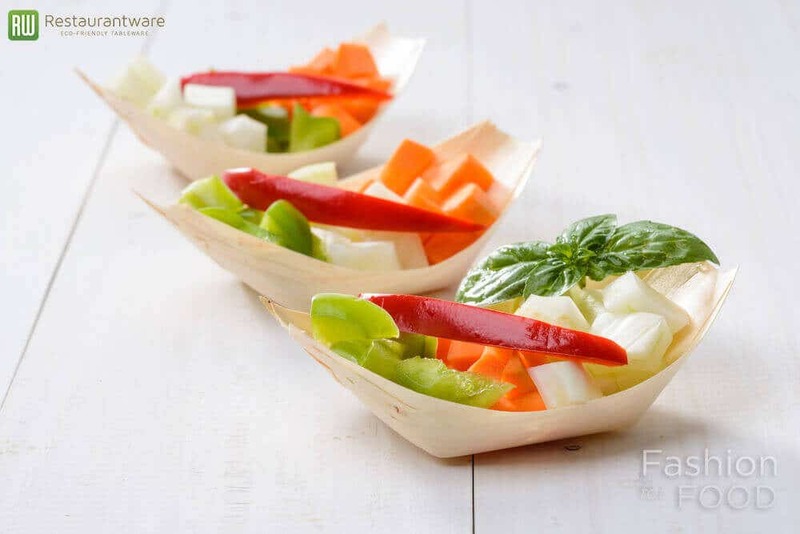 Buy reusable or biodegradable tableware: Most of the waste from catered events comes from plastic tableware that is not easily disposed of. There are plenty of better options that will reduce your carbon footprint. 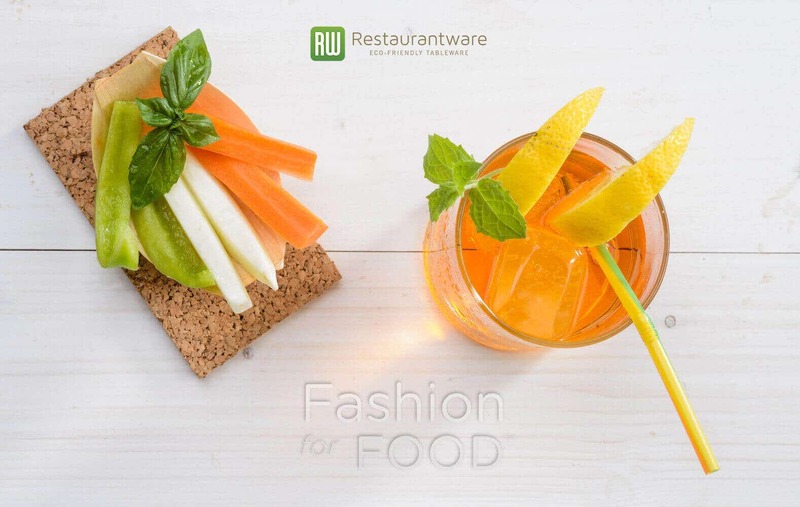 The best option is to buy reusable tableware, such as glass or porcelain. These products are high quality, and will reduce your amounts of waste. However, cleaning these products after each event can get tiring, and may take too long. In that case, there are many options for eco-friendly disposable tableware. Bamboo, wood, and paper products are biodegradable and are made from sustainable material. These products are also aesthetically-pleasing, so there’s no need to forfeit beautiful presentation for green options. Stop using plastic bottles for water: Plastic bottles may assure customers they are drinking clean water, but so will a filtered pitcher. Plastic bottles find their way into landfills and they are also commonly littered. Both of these scenarios are detrimental to our environment. The easy fix, as mentioned above, is to provide your customers with a pitcher of filtered water. Remember to only serve water when requested in order to conserve water as well. Offer more vegetarian dishes: Even if you buy meat from local butchers, consuming animals isn’t the best for our environment. Cows release many greenhouse gases naturally, and consuming more meat demands more cows exist. Thus, more gases are released into our atmosphere. Offering more vegetarian options may convince more customers to not consume meat — and any bit helps! Serve seasonal menus: Farming produce out of season is definitely do-able for most local farmers, but it also takes up more energy. In order to supply out-of-season fruits and veggies, farmers have to run greenhouses and provide the produce with artificial lighting and heating. This uses unnecessary energy, which eventually has harsh effects on our environment Serving meals on the same calendar with common fruits and vegetables is not only green, but it’s economical as well. Equip energy-efficient machinery: Catering, especially for huge events, takes a lot of energy to constantly run warmers, grills, etc. Make sure that any equipment you use has the ENERGY STAR® guarantee. These products are more energy-efficient than other products, and not only save energy for the planet, but also money for your pocket. Reducing your energy use, also lessens the cost of your energy bill. There are also a few other tips and tricks: always use propane to grill, and use energy-saving lightbulbs. Service vehicles regularly: Vehicles are used commonly in catering companies for transporting equipment to and from events. Turning your vehicles into green machines doesn’t mean you have to replace them completely. All you have to do is keep up-to-date in servicing them. This stops your trucks and vans from polluting the air unnecessarily. If you are wanting to upgrade, all-electric vehicles are the best for the environment. Trade your bleach for green cleaning products: Regular cleaning products are harsh and contain chemicals that are horrible for the environment. These hazardous liquids usually find themselves in fragile ecosystems after you wash them down the drain. Also, constantly breathing in strong chemicals is not good for your health. Less-harsh, green cleaning supplies do the same job, and usually aren’t more expensive. These are also better for the environment and your well-being. Make an eco-friendly plan: The best way to get started on a green path is to monitor your habits and devise a plan to become more environmentally-friendly. Going green may seem expensive at first, but the effect will be better for our planet, and eventually your wallet will thank you. Green habits will save you money over time. If you would like help monitoring your carbon footprint, contact your utilities management, keep track of your gas use, and calculate how much equipment you run at different events. Going green as a catering business may seem like a hefty goal at first, but taking small steps will make it easier. But, catering business would be a great start in reducing the food industry’s carbon footprint. Environmentally-friendly habits is also economical in the long-run. And, in the end, the choice to be greener will keep you, your customers, and the planet all smiling.